Lenovo has a wide range of technology solutions to help tackle your organisation's productivity challenges. 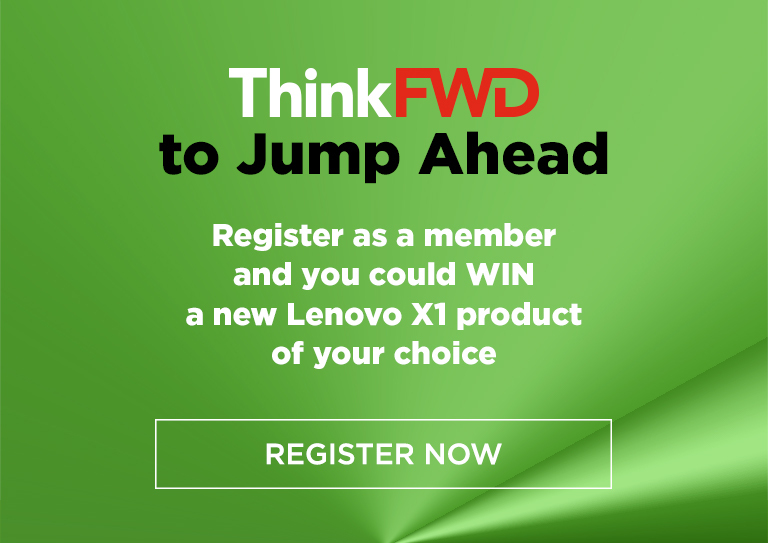 To learn more, download the following, contact your Lenovo Account Executive or call 1800 709 340. Choose devices built on the latest platforms using advanced connectivity and always-on security features. Deploy innovative and ergonomic accessories to help users extract the full potential of their devices. Procure devices that facilitate connectivity between employees, irrespective of their location. Each employee in your organisation has a unique role with specific technology requirements - providing them all with the same kind of device can have a damaging effect on their productivity. As a bare minimum, consider the following three basic groups of users and provide them with the right technology to match their needs. The best solution for on-the-go users and frequent travellers. Light and sturdy devices that are versatile and portables. Long-lasting batteries that recharge quickly. High-resolution and anti-glare screens for easy viewing. For employees who primarily work at one fixed location. Flexible systems with expansion capabilities for storage, memory and peripherals. Space-saving designs to reduce clutter, improving user focus. Multi-display support for intensive content creation tasks. Power users who need to run specialised software. Powerful processing to handle graphics and data-intensive tasks. Systems that support expandable local storage and system memory to accommodate heavy workloads. ISV certifications ensuring best performance when using specialised software. Learn more about Lenovo’s range of technology solutions that can help solve your organisations productivity challenges.